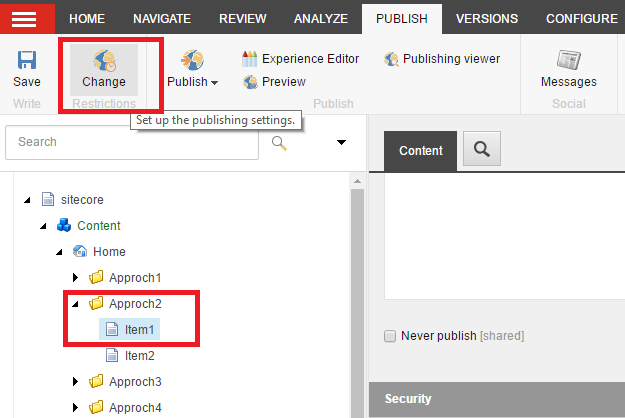 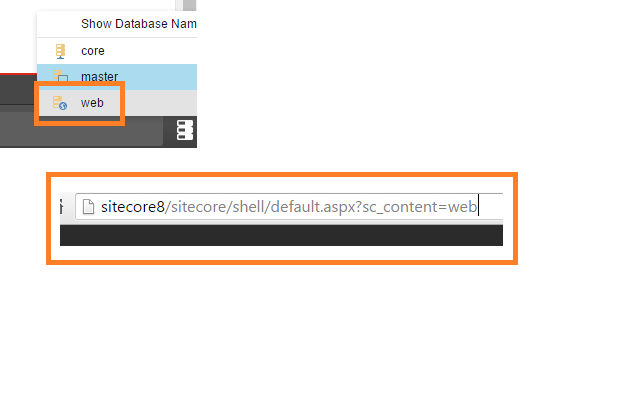 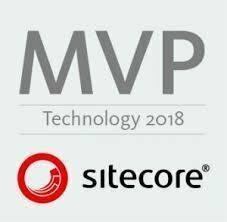 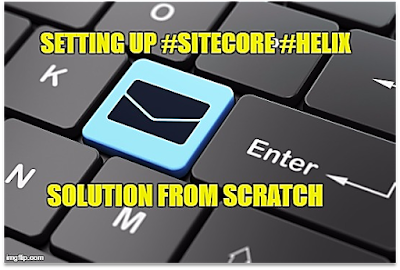 How to unpublish the item in sitecore..
HI Friends, this is very common requirement to delete/unpublish the item from target database in sitceore. Sometimes business user come to technical team and asks to quickly remove the page/Item from web/Target database. So the question comes in mind how? 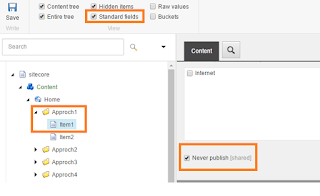 So here i am highlighting some approaches to unpublish the item from target database. 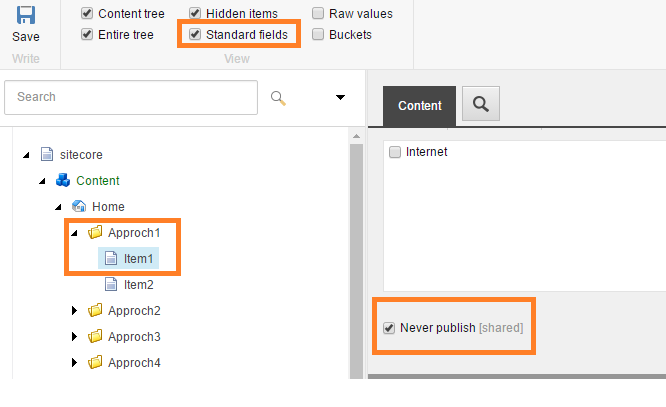 Check the standard field checkbox in view tab in stecore ribbon. 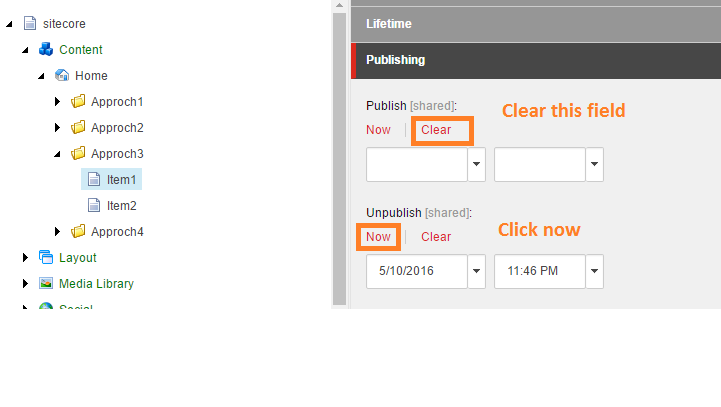 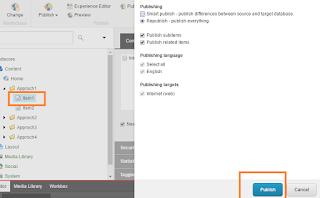 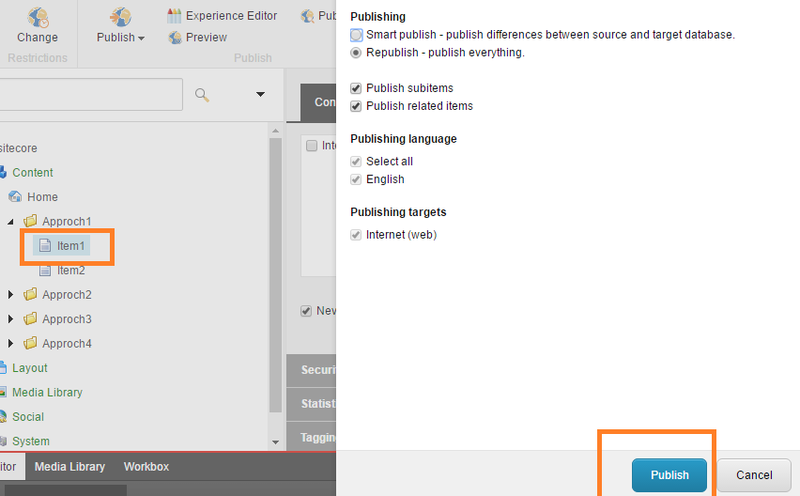 Go to Publish Field, Click on Clear button in publish field, if any value exists. 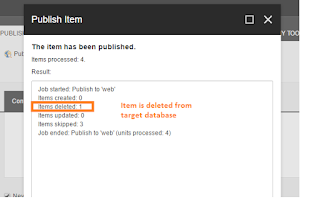 This is just straight forward approach, sometime the situation occur, when we need to delete/unpublish the item without running the publishing wizard, in that case we can directly delete the item from target database. 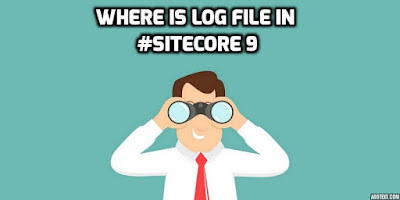 Note: One problem that I can see with the approach 4 is that, the item will delete in the target database but still exist in the Index file (Lucene or solr) and item can searchable through search. 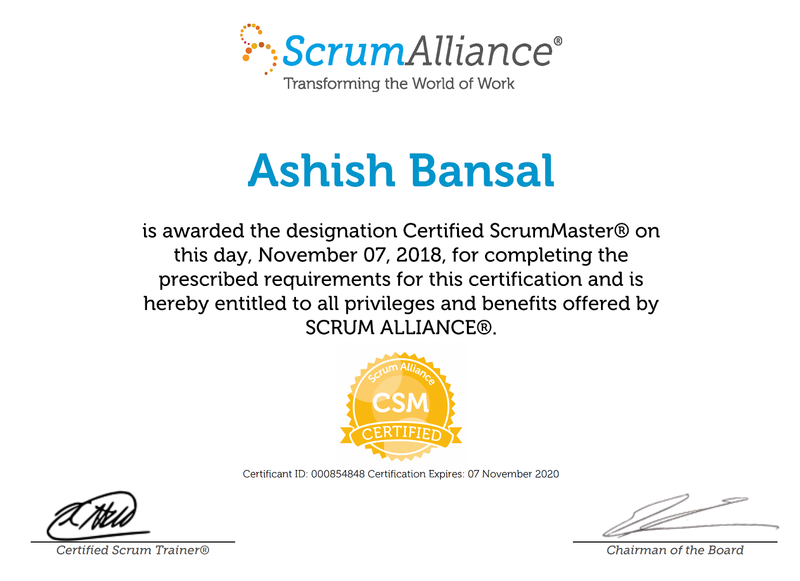 I hope you this article will help you.